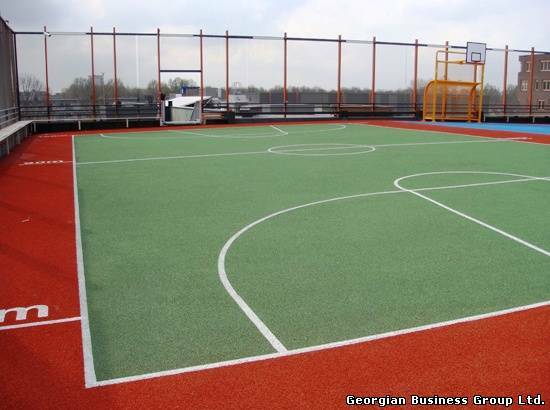 HERCULAN Sports Surfaces BV is a Dutch company manufacturing synthetic flooring systems from 25 years. HERCULAN polyurethane systems are seamless sports floors used worldwide. HERCULAN decorative epoxy systems provide seamless hygienic floor surfaces in public buildings and industry. HERCULAN uses quality raw materials and high-tech production methods, constantly monitored by laboratory technicians. 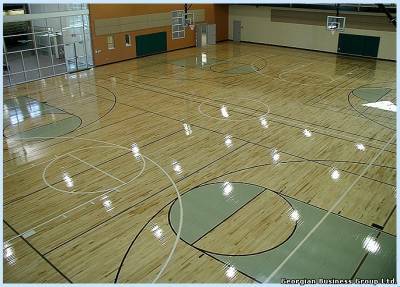 HERCULAN sports floors, which are seamless from wall to wall, are non-porous, hygienic and easy to clean. The quality of the HERCULAN products and systems is monitored by in-house quality control laboratory and by specialist test-houses such as ISA Sport The Netherlands, FMPA Germany, Byggforsk Norway, IST Switzerland, Labosport France and CST in the UK. Engineers from global agency network of specialist installers install HERCULAN Sports surfaces. 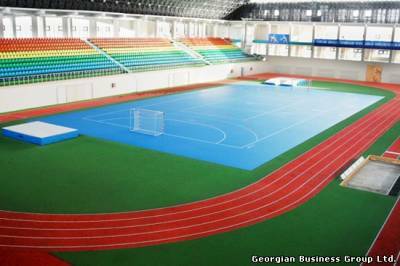 HERCULAN MF - Multi-functional system for indoor sport as well as exhibition, concerts, examinations, speech days and more Herculan MF sports floors are seamless, cushioned, Multi-Functional floors with point-elastic properties. 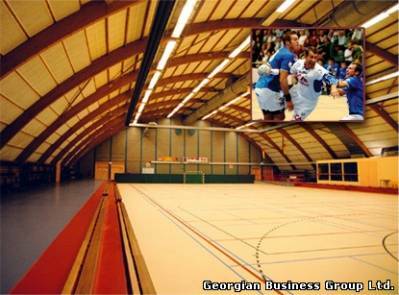 Herculan MF sports floors are used as a multi-sports surface for all indoor sports by ISA Sports, the Netherlands Olympic Committee and the Netherlands Sports Federation. HERCULAN SR - spike-resistant multifunctional sports floor for all traditional indoor sports and for athletics where indoor spikes can be used. It is accredited with IAAF performance standards and with DIN 18035 Part 6. The complete range of outdoor running track systems, Herculan SR-National impermeable spray-coat on an in-situ applied elastic mat. Herculan SR-Sprint is a sandwich system based on an impermeable elastomeric layer on an in-situ applied elastic mat and Herculan SR-Olympic an impermeable multi layer full polyurethane athletic track system with an EPDM top. 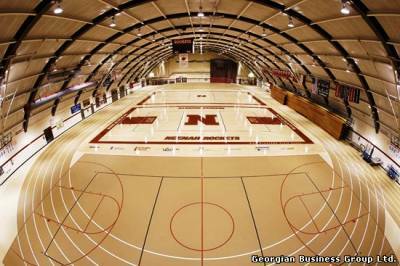 HERCULAN MB - Mixed-elastic multifunctional sports floor for high performance indoor activities. 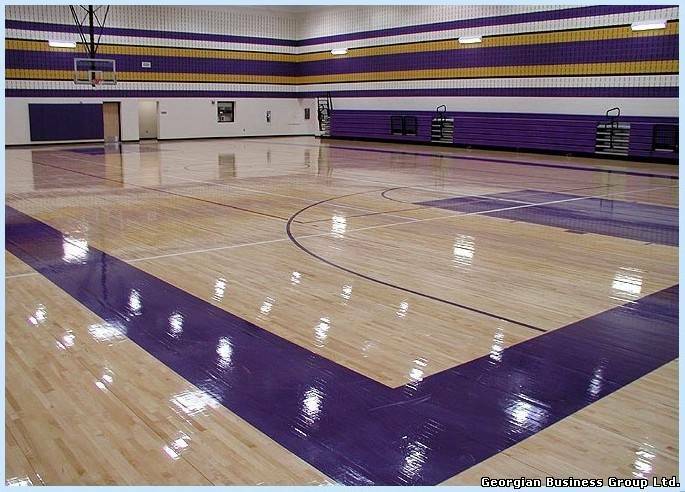 Multi-elastic sports floor combining the advantages of area-elastic and point elastic sports floors. HERCULAN RH - mixed-elastic sports floor for roller hockey and wheelchair sports. HERCULAN TC - special point-elastic sports floor developed for tennis, indoor hockey football and badminton. The special Herculan TC Ace, Herculan TC Pro and Herculan TC Smash systems are special designed for tennis, indoor or out-door. It is accredited with ITF performance standards. HERCULAN IG Decorative - Exceptionally heavy duty, decorative and hygienic elastic floor system for changing rooms, showers and toilet blocks, hospital corridors, schools etc. Herculan IG Decorative is a two-component polyurethane self leveling floor covering. It is solvent free and has high surface hardness. HERCULAN IG Protective - Exceptionally heavy duty, hygienic elastic floor system for changing rooms, showers and toilet blocks, offices, heavy machinery flooring, etc. RE-TOPPING - Re-Topping system is designed to overlay an existing cracked and worn out sports floor to give it a second life.